With shockwaves being felt in the worlds currency and trading markets, the spotlight is now being shone on the events that will follow. The Bank of England has assured skittish investors that the bank has the capacity to handle the gyrations of the markets. However, the effects on the street are beginning to dawn on the British. Already the backtracking has begun among members of the Leave campaign. 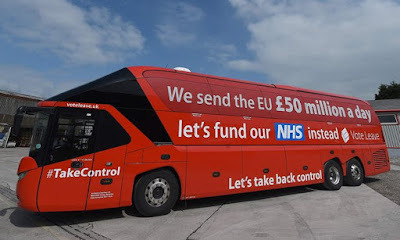 Nigel Farage, head of the Independence Party, is now admitting that it was a mistake to say that the NHS (National Health Service) would benefit from £350 million in weekly contributions that Britain now passes on to the EU. Speaking on television today to ITV's Susanna Reid hours after the votes came in, Farage said that the pledge to invest the saving in the NHS was wrong. Reid fired back saying "Hang on a moment. That was one of your adverts". She noted that the pledge may have influenced many people to vote Leave. She asked "You're saying that after 17 million people have voted for Leave - I don't know how many people voted on the basis on that advert, but it was a huge part of the propaganda - you're saying that was a mistake?" Brits were livid. Farage immediately came under a barrage of criticism on social media and on the streets. Many are saying that the Leave campaign have made numerous pledges to secure votes that they cannot guarantee. 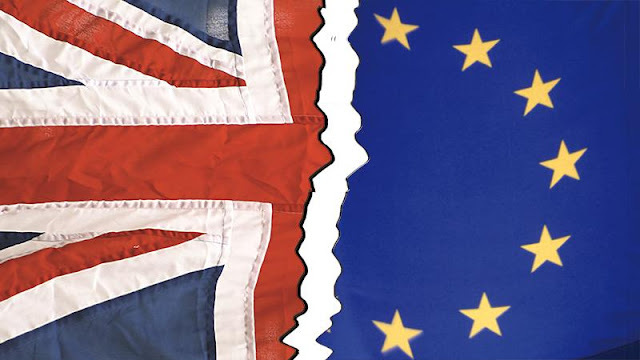 John Pollard, the leader of the Cornwall Council, issued a statement saying "Now that we know that the UK will be leaving the EU, we will be taking urgent steps to ensure that the UK government protects Cornwall's position in any negotiations". Cornwall receives an average of £60m annually in EU subsidies and they were assured that if they voted Leave, their subsidies which were already allocated will not be affected. Cornwall is the single largest recipient of EU aid in the UK and it stands to lose that assistance. The people of Cornwall voted overwhelmingly to leave. Statistics show that regions that are most economically dependent on the EU aid are the ones that voted Leave. They now face the prospect of losing all EU financial benefits. Meanwhile in Scotland, calls are being made to have a second go at a referrendum to leave the United Kingdom. The last time a plebicite was held for that purpose, it failed. But with Scotland having voted to Remain in the EU, calls for Scotland to break with the UK have been given new life. Londoners, who voted in favour of staying, are openly asking whether they could have a vote to leave the UK. Across Europe, similar nationalist fervor has been awaken. Marine Le Pen, the leader of the French anti-immigrant Front Nationale is calling for a similar vote in France. European leader have reacted with shock and some are calling for a speedy separation, fearing a prolonged process will only lead to uncertainty and a recession. The Sun is reporting that Spanish Foreign Minister Jose Manuel Garcia-Margallo is calling for co-sovereignty on Gibraltar. The tiny peninsular surrounded by Spain, sits at the mouth of the Mediterranean and has been a British outpost since 1713. Mr. Garcia-Margallo's call for the territory to be co-managed by Spain comes as the results in Gibraltar indicate that an incredible 95.9% of its residents voted to Remain in the EU. Known as "the Rock", Gibraltar has been a major source of contention between Spain and the United Kingdom.